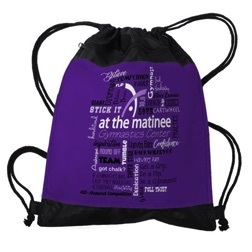 Order Team Warm-Ups, Bags & fun shirts! Our new competition bags can be ordered here. CafePress is always having sales, so look out for coupon codes! 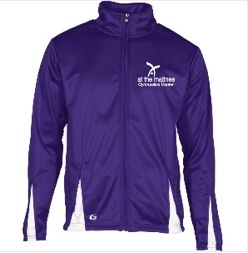 Team competition jackets can be ordered here. Team competition capri leggings can be ordered here. At this time, competition leotards can only be ordered through the gym. See Caoch Heather or Coach Mike to place an order. 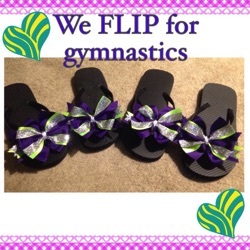 If you are interested in team bows or bow flip flops, please contact LilyRae Bows on facebook. She is one of our team moms. I believe basic bows are $5 and flip flops are $15 per pair.